It’s been awhile since we’ve had a Happenings post. There’s always a ton going on in Ruby, so we need to put some of these links out before they overwhelm us in a link avalanche. One of the biggest recent news stories in Ruby is about RubyMotion, which allows you to create native iOS apps using Ruby. If you feel the way I do about Objective C, then you should check this out. 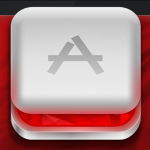 The Rogues have a good podcast with the creator of RubyMotion, Laurent Sansonetti. Marc Watts of Lonely Planet discusses how they monitor their Ruby and Rails applications using statsd (which is node based). 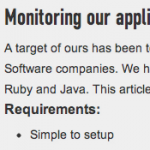 This article has Ruby and Rails and Node and shows you how to easily do something that we all should be doing. 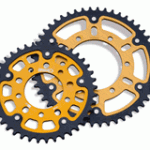 Shawn Crowly of Atomic Object gives us a post about a road to becoming a great developer. In essence, you should own the code in your application. Â ALL the code. Easy concept, hard to do, which is why it makes you great…. 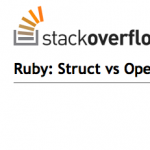 Here is a VERY good Stack Overflow question about the difference between Struct and OpenStruct. It boils down to performance (doesn’t everything?) so if you use OpenStruct much in your Ruby code, you should definitely read the benchmarks here. 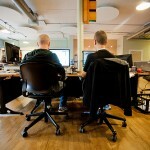 Eric Berry pens a piece about the basics of the Asset Pipeline in Rails. I found this article to be crazy informative and every Rails developer should know this stuff. Railsconf was chock full of great presentations, and probably the most talked about was this one by James Edward Gray II. 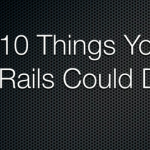 This presentation is especially link-friendly, as you can learn a ton of stuff about Rails from the slides alone. I especially like the 32 bonus tips…. Gregory Brown over at Practicing Ruby has released all of Volume 2 of his Ruby blog. If you’ve never read anything by Mr. Brown, you need to remedy that situation. His articles are informative, thorough, and very well done. Our own Pat Shaughnessy is releasing an e-book called “Ruby Under a Microscope”. I have been privileged enough to read the first draft, and it is something you should get for your Ruby arsenal. Pat takes a scientific approach to examining the guts of Ruby, but without requiring the reader to know anything more than Ruby (meaning, you don’t have to know C). Put on your lab coat and check it out! That’s it for this edition of Happenings in Ruby. 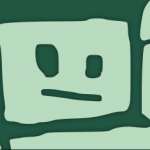 If you have any news, code, or other Ruby-related content that would benefit the community, let us know.